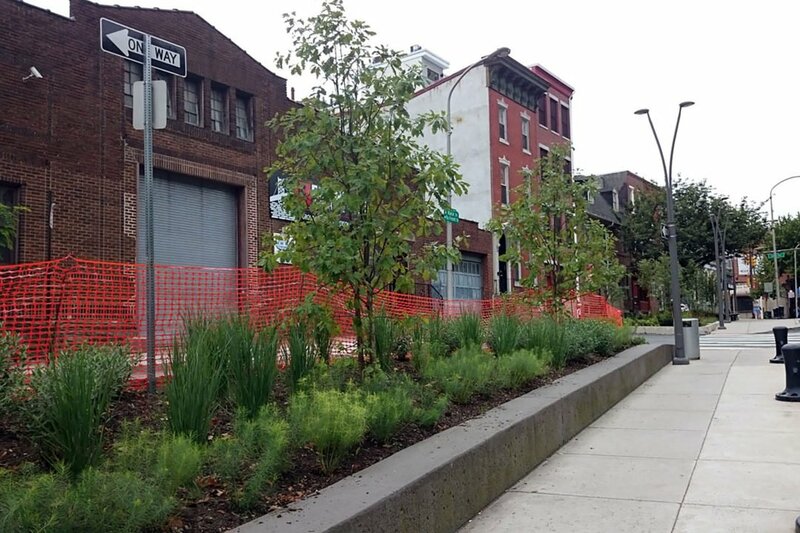 The latest development on the Race Street Connector—the corridor connecting Old City with the Delaware River Waterfront— is a newly renovated planting in the 100 block of Race Street. 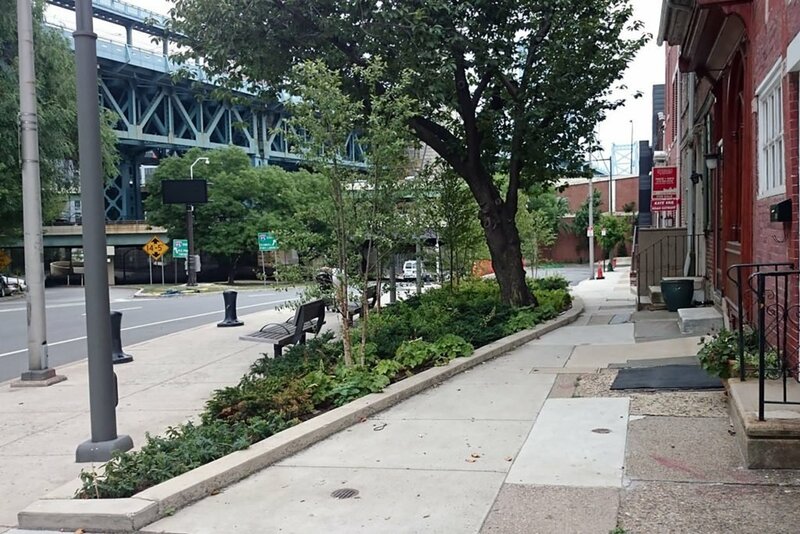 Working with the Delaware River Waterfront Corporation, TEND developed a planting design for the newly expanded sidewalk planter that balances needs of the streetscape with adjacent homeowner needs. 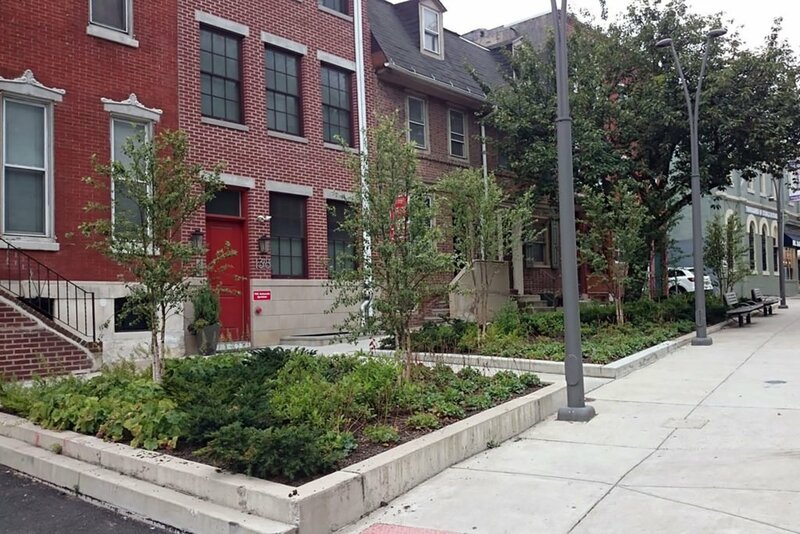 Taking advantage of the increased soil volume of the continuous trench, the design added several canopy trees along the street edge and a mixed understory planting of shrubs and perennials that respond to the urban conditions.